NiceLabel Blog What are the main changes to the FDA Nutrition Facts label? In May 2016, the FDA announced changes to the Nutrition Facts label for packaged foods. The well-recognized food label design will keep most of its characteristics, but some declarations will no longer be required and new declarations will be added. 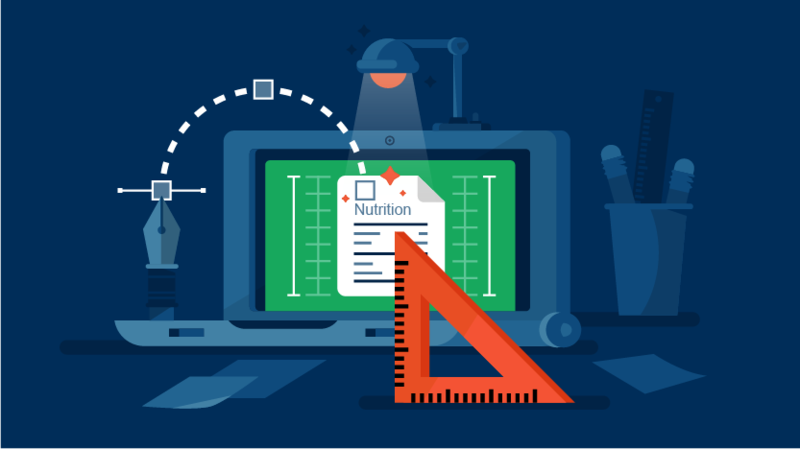 All nutrition label changes can be grouped into three categories: design changes, declaration changes based on scientific findings, and changes in serving and package sizes. The idea behind the new Nutrition Facts label is to provide clear information about the most important ingredients and nutrients of foods and beverages. To highlight these, the new FDA regulations require some declarations to be printed in a larger font or bolded. This is the case for calories, servings per container, and serving size declarations which will require larger font size. The number of calories and the serving size declaration will also be bolded. It has been over 20 years since the nutrition facts label has changed. Nutrition science has advanced and gained new insights in the meantime. For instance, research has shown that it is difficult to stay within daily calorie limits if you consume more than 10% of your total calories from added sugar. This is why the new label will have an added sugars declaration to show the recommended percentage daily value of added sugars, and help consumers estimate their daily limit according to the 2015-2020 Dietary Guidelines for Americans. Another thing that has changed substantially in the past decades is the serving size of most foods. The numbers used on old labels do not represent the actual amount of food people eat, which is why most serving sizes have been adjusted to show a more realistic amount. The serving size for ice cream has gone from ½ cup to ⅔ cup based on the average amount of ice cream people eat in one serving. This doesn’t mean that all serving sizes have gone up – for example, the reference serving size for yogurt has gone from eight ounces down to six ounces. To read other items related to the FDA Nutrition Facts labeling regulation, click here.